Instead of purchasing bending handrail, this customer opted to purchase straight handrail and put box newels on the steps. This is a great answer for winding stairways, especially stairways that do not wind at the same angle all the way up. 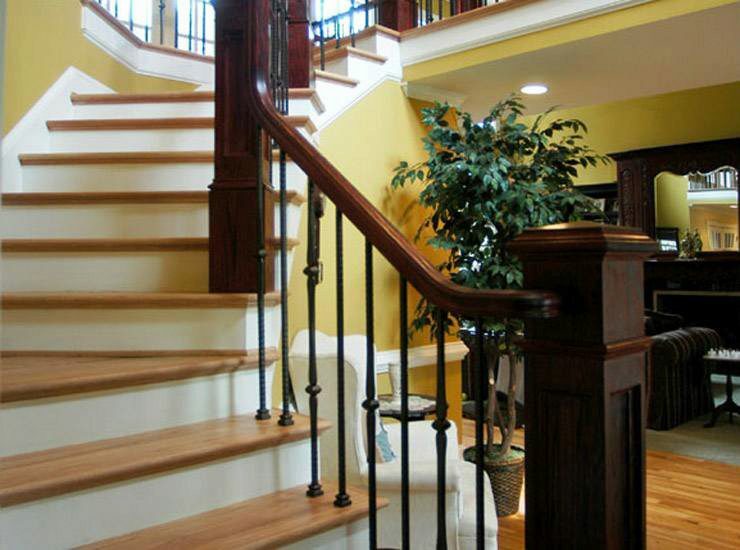 However, StairSupplies is able to custom manufacture handrail to fit any angle you want. Click here to view your entire Handrail offering.